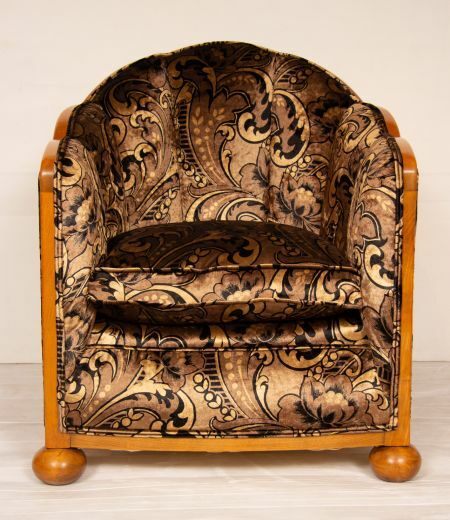 Art deco cloud back armchair. 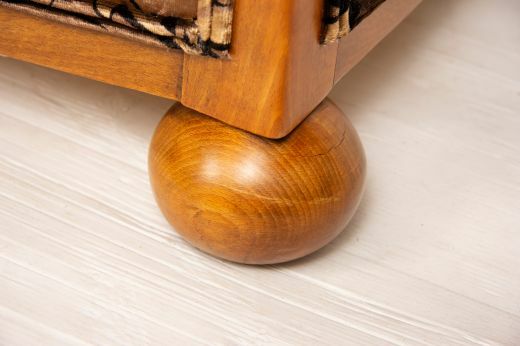 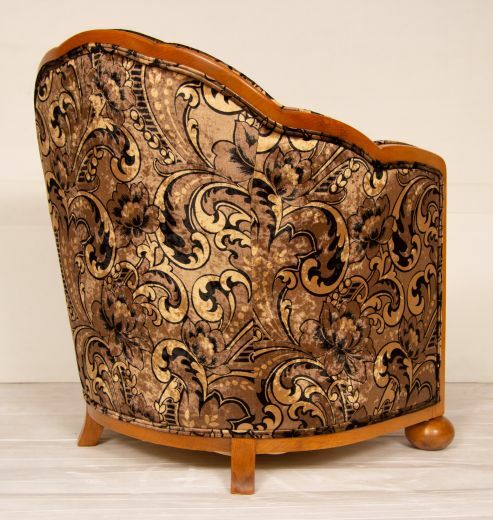 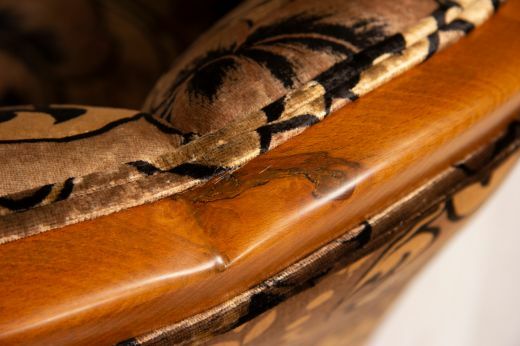 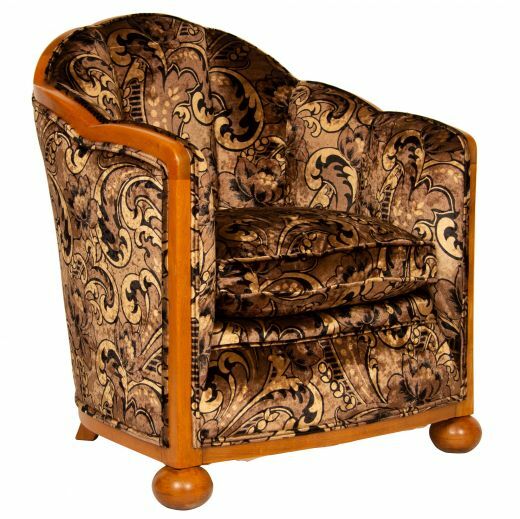 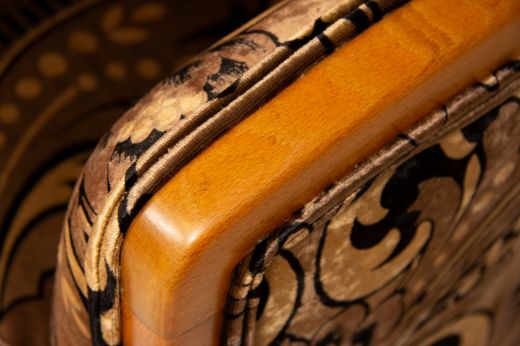 Beautiful Art deco walnut framed armchair with bun feet. 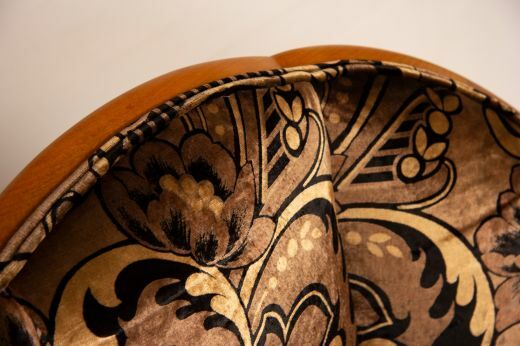 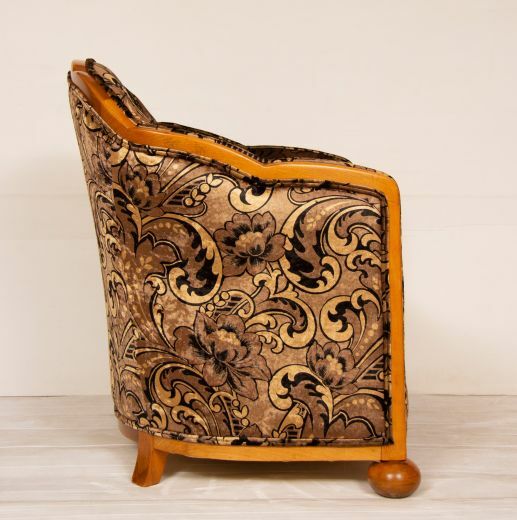 newly upholstered in a stunning art deco sue et mare style fabric.